The central government on Tuesday defended linking the Aadhaar number with permanent account number (PAN) and making it mandatory for filing income tax returns, telling the Supreme Court that it was meant to curb individuals possessing multiple PAN cards by putting in place a robust identification system. Telling the bench of Justice A.K.Sikri and Justice Ashok Bhushan that people and shell companies possessing multiple PAN cards were causing tax loss of thousands of crores of rupees, Attorney General Mukul Rohatgi said that government was not just dealing with the matter of tax collection but money laundering, curbing black money and terror funding. Opposing the petitions challenging insertion of Section 139 AA in the Income Tax Act, he said by linking Aadhaar number with the benefits under the social welfare schemes, government had saved Rs 50,000 crore. 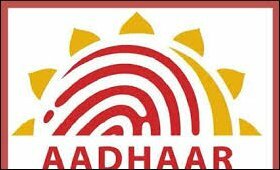 Describing Aadhaar as a PAN in more complex milieu, Rohatgi said that back in 2009, the government had considered issuing PAN Plus having iris and finger impressions but this was shelved as by then Aadhaar had come in. The bench was also told that PAN too was introduced as a unique identification document and Aadhaar has now been linked with PAN because earlier identity proof documents like ration cards, driving licence and others could be manipulated. Telling the court that there can't be a duplicate of Aadhaar identity, he brushed aside the apprehensions that digital record of individual's iris and finger print scan could be leaked. "No data under Aadhaar will be shared with anyone or anybody" except in the case of criminals being investigated by police, Attorney General said that the vires of Section 139AA could not be raised on the strength of an interim order of the court. If today Section 139AA of the Income Tax Act is read down on the strength of the earlier interim order of the court, what would happen if later that interim order itself goes, he asked. The top court by its August 11, 2015, order had said that the Unique Identification Number or the Aadhaar card will not be used by the government or its agencies for any purpose other than the PDS Scheme and in particular for the purpose of distribution of foodgrains, etc. and cooking fuel, such as kerosene. It had also allowed its use for the LPG Distribution Scheme. Addressing the petitioner's contention that insisting on Aadhaar that carries his Iris and fingerprint scan was an intrusion on their body, Rohatgi said that no right was absolute including right to the body. As he said that the state can extinguish the life of person accused of certain offences, the court reminded him that can only be by following due process of law. "Balance has to be made in the society we live in, dignity of person has to be protected", the bench said even as Rohatgi argued that when a person can give impression of his finger prints for registration of property, then how giving it in digital form is objectionable. The court's observations came in the course of the hearing of two petitions challenging the newly inserted Section 139AA. The government had inserted Section 139AA in the Income Tax Act through the Finance Act, 2017, with the objective of curbing the black money. Senior Communist Party of India leader Binoy Visman, former Indian Army officer S.G. Vombatkere and Safai Karamchari Andolan founder and convenor Bezwada Wilson had moved the court challenging the section's validity.